It is against the law to use a hand held phone in a construction zone in Virginia. Be aware that the texting law in Virginia prohibits the dialing of multiple digits. All dialing should be limited to voice activation or one touch dialing. 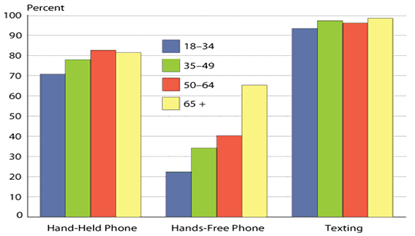 The major issue with hand held phone usage is the handling of the phone. A Safe Way Driving Academy recommends using a phone mount to eliminate fumbling for the phone and having to look away from the road to use the phone. 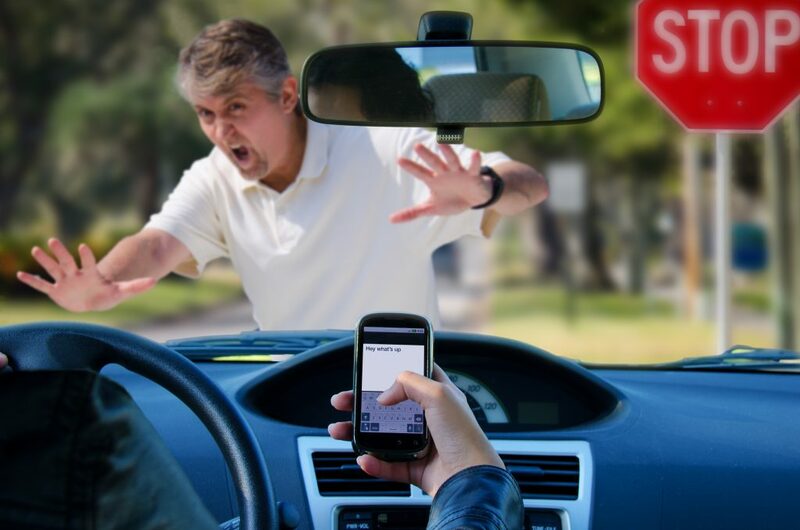 An irresponsible texting driver is about to run over a pedestrian at an intersection which shows how dangerous texting and driving is. Stop the text and stop the wrecks. The third impact is that of your organs as they collide with your bone structure. At 65 mph your heart can burst when it collides with your rib cage. If you have been involved in an accident, it is advisable to go to the hospital and be examined even if you do not an apparent injury. If the airbag symbol or light on the dash remains on have your airbag checked! BUCKLE IN ALL PASSENGERS AND SECURE LOOSE OBJECT! The force of impact of an object flying around in your car is the mass multiplied by the speed. A 200-pound person flying around in a car crash at 50 mph results in a force of impact of 10,000 pounds! Serious damage and death will most likely occur! Buckle up everyone!